The best medicine is now available over the counter! 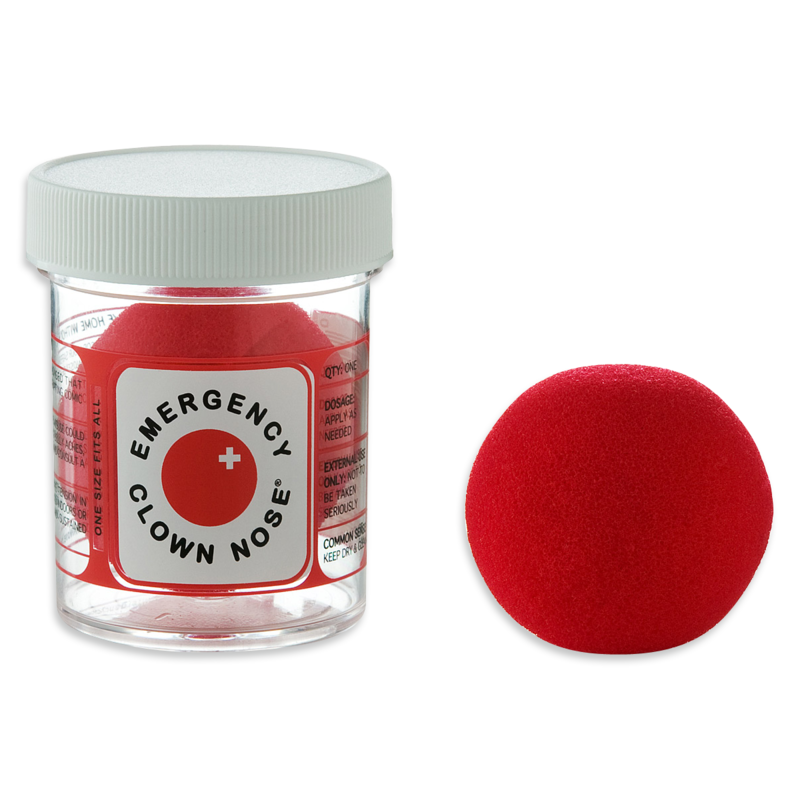 Brought to you by professional clowns Rosie Cole and Lloyd Brant to promote their philosophy of the healing power of laughter, comes the emergency clown nose! Apply as needed on the most lackluster of days as needed. Symptoms are said to include: chuckling, chortling, guffawing, and acute shortness of breath-from all that laughing of course! It’s a one nose fits most in size, so simply place your nose in the vertical slot in the rear end of that ball and watch the fun ensue! Gessato is an authorized retailer of products. We purchase all of our products directly from the company in order to bring you genuine items that represent the best in contemporary design. Every product in the Gessato shop is authentic, comes with official brand packaging, manufacturer’s warranty (where applicable), and is sold with 's authorization.